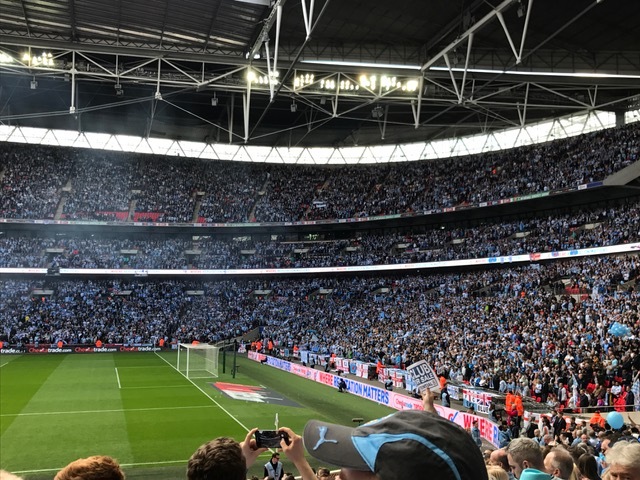 Waking up early on a Sunday morning is an option most of us would choose to dismiss, yet, on Sunday 2nd April over 43,000 Coventry City football fans made that early start to attend the most exciting and historic match the club has seen in recent years! The sun is shining, the unmistakable buzz of fans before a match filled the air, and this was before I had even left the train station! Standing on that platform waiting for the 9:59 train to pull in, I could not help but feel a rush of pride and nostalgia. This was my team, they were making Coventry proud and this was their time to shine! Anticipation filled the air, and whether lifelong fans, or students enjoying the local team’s success, it was clear that in spite of the impending relegation (sob! ), the Sky Blue Army was still 100% behind their players! I met fans from all over the country, from Bournemouth to North Yorkshire, and even from around the world like Australia, highlighting the importance that our football club has upon thousands of people. 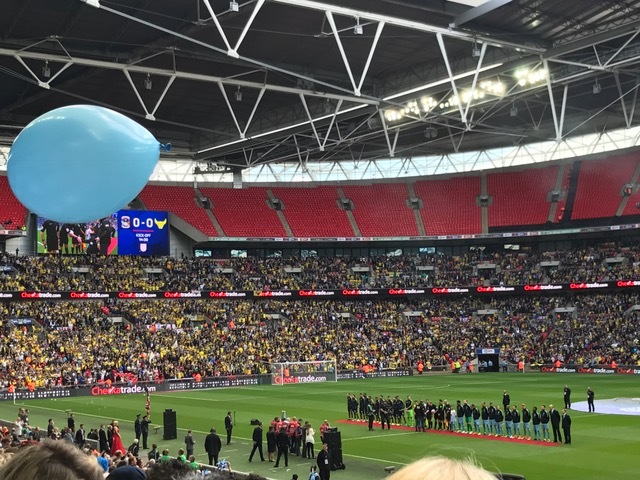 Before the match began, club legends such as John Sillett and Oggy (Steve Ogrizovic) were at Wembley encouraging both players and fans. It really made you feel like you were going to be part of something special for the city before a ball had even been kicked! 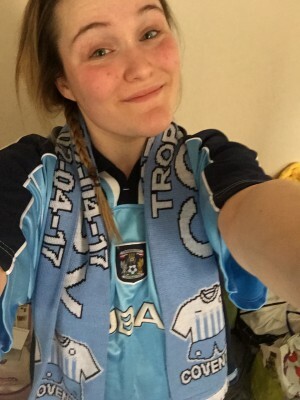 2-1 up, the cup was within our sights, yet, in the 88th minute, City’s Thomas and Oxford’s Rothwell stopped play, resulting in an additional five minutes extra time. These five minutes have to have been some of the longest five minutes of my life. This agony was only extended when in the 94th minute there was a scramble from Oxford players in an attempt to equalise, thankfully a jaw-dropping save was executed by Burge, with a little help from Bigirimana. It was safe to say there was a lot of panicked screaming followed by a collective sigh of relief, and of course there was no bad language at all!!! As the final whistle blew, what can only be described as a roar filled Wembley, the players in tears on the pitch. 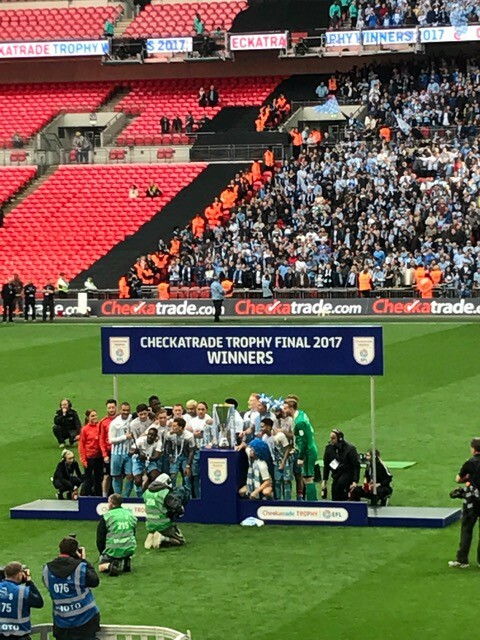 Nothing could compare to the feeling of watching my team hold up the Checkatrade Trophy, a tear rolling down my cheek, I had never felt so proud to be part of the football team that is so important to Coventry as a city. Whether you are a football fan or not, it is undeniable that the Sky Blues hold a special place in the heart of Coventry and the people that live there. Whether a season ticket holder, or someone who listens on the radio, the fans are the 12th player! I hope that this win gives us the confidence that the players so desperately need. 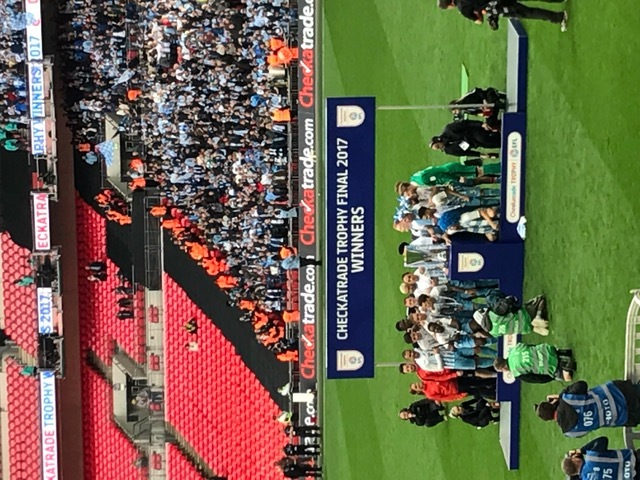 I am immensely proud to be a Coventry City Football Club supporter, and I am sure that the whole of Coventry would join me in congratulating the team on such a momentous win. This is our city, our football club. 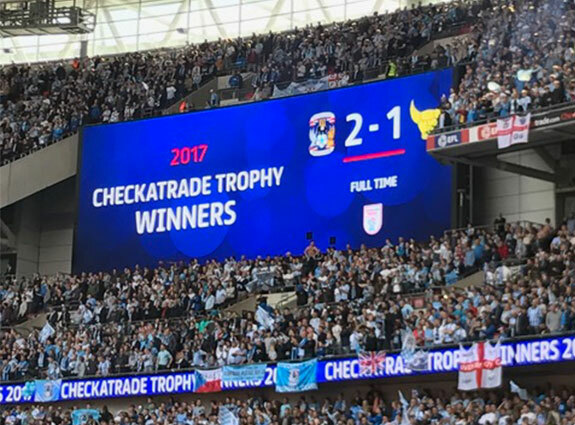 Our Coventry. Our Digital Explorers will be bringing you all the best bits from around the Coventry, including Sport, Shopping, Restaurants, the city’s history and more! Keep up to date with the City of Culture by visiting our webpage and using the #ThisIsCoventry. ← The Arts Gymnasium, Here to Lift Community Wellbeing!